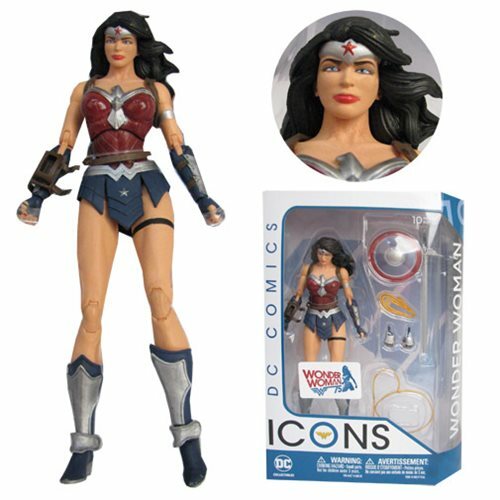 Wonder Woman is charging into battle as she joins the DC Comics Icons line. Measuring approximately 6-inches tall, the Amazonian princess features 25 points of articulation. This DC Icons Wonder Woman The Amazo Virus Action Figure includes interchangeable hands, sword, shield, loose lasso, and a clippable lasso! Ages 14 and up.